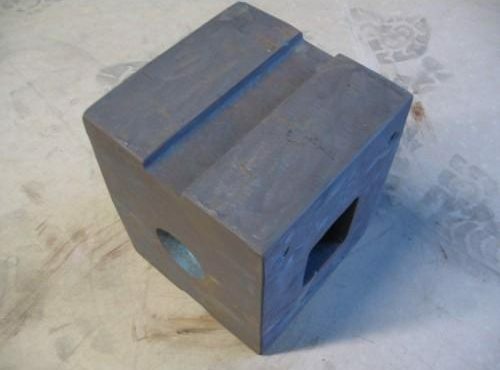 We stock an extensive range of crusher parts in Manganese, Chrome & white Iron, for most brands of crushers, including Jaws, Concaves, Mantles, Wedges, Hammers (Blow Bars) Side Liners, Toggle Plates and Seats. Our Manganese & Chrome liners are of the highest quality and have been known and proven to consistently out last and out perform many other products on the market today, we do not compromise quality with price and will find our prices to be very competitive. Whether it be standard profiles, our own modified profiles or perhaps a profile of your own design, please feel free to contact us for a quote, chances are we have your desired parts in stock. 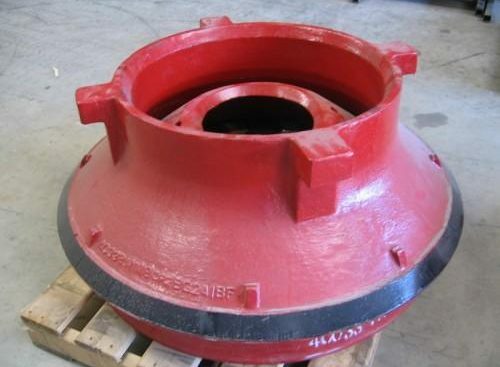 The owners and operators of Australian Crushing and Mining Supplies are heavely involved with the production and Manufacturing of all of the wear spares and crusher spare parts and have years of expertise within the crushing industry. We are able to offer full support on all our spare parts. Australian Crushing & Mining Supplies is well positioned to provide you with market leading crusher parts and wear parts within the mining, quarrying & demolition industries. offering genuine life cost savings versus cheaper alternatives. ACMS have a range of aftermarket manganese to suit the following HP range of cone crushers in high quality Managnese liners. 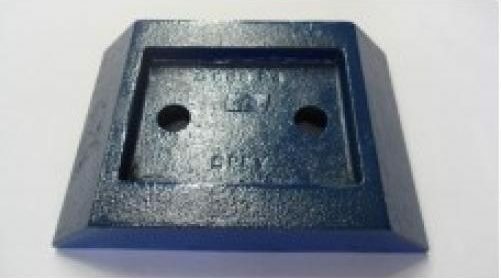 ACMS supply many customers with our range of jaws to suit the popular tracked Jaques jaw & the Jaques World 42 x 30 jaw crusher. 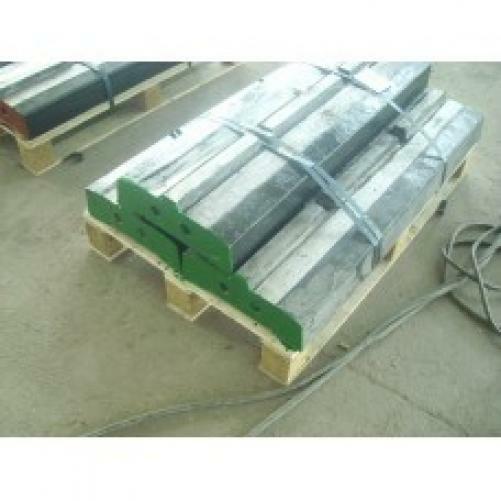 Please don’t hesitate to contact us for a price and availability on any of manganese. 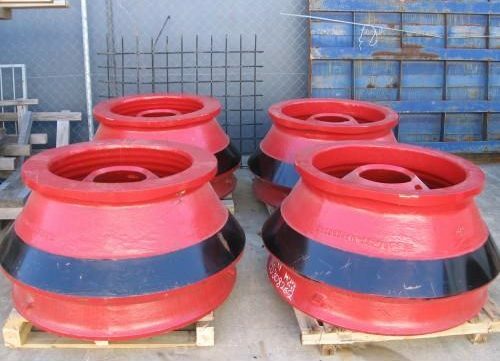 ACMS have developed a range of aftermarket crusher spares to suit the Telsmith cone crushers. 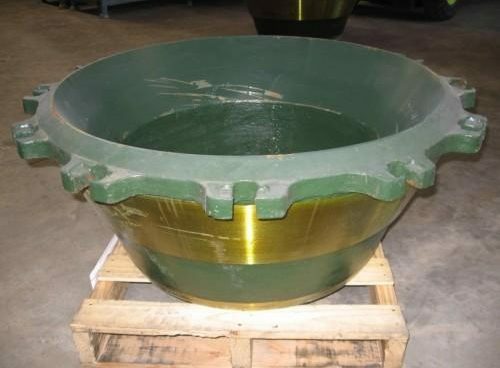 We offer mantle and concave in ,18% and 22% grades of manganese Cr and guarantee the performance of every casting, all parts will meet or exceed the most demanding quality standards to insure absolute customer satisfaction. Call or contact our team anytime for assistance for all your Telsmith crusher needs. We stock these in 27% Cr and are one of the best quality products on the market, we will save you money on down time and wear life. 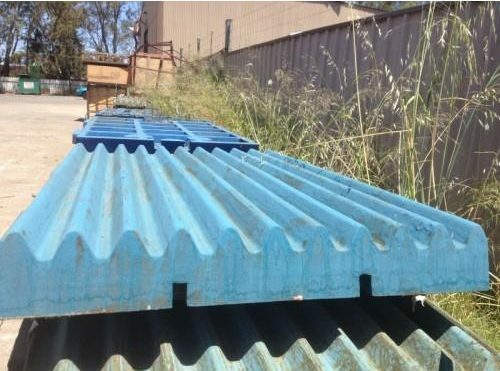 Australian Crushing & Mining Supplies have an extensive range of Premium Manganese Steel Jaw Plates that have been developed over many years with our foundry partners to develop the best possible crushing performance for your Extec / Sandvik Crushers. Australian Crushing & Mining Supplies are now offering manganese to suit the Finlay Cone Crusher range including the C-1540 & the C-1550 Liners. 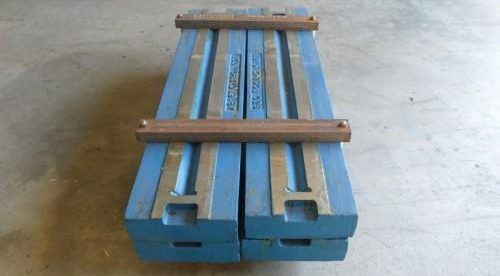 We carry these in Heavy Duty & Extra Thick 22% Mn & 18% Mn Liners for increased life in extremely abrasive applications. 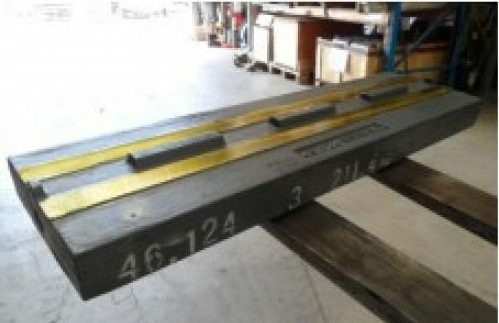 We have modified many of the profiles to give longer wear life and higher tonnage per hour over the standard profiles. 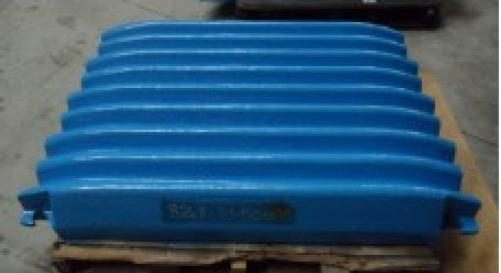 We also carry in stock the Standard OEM range of liners & parts & endeavour to always keep these in stock. Please call or contact us for all your Finlay requirments. 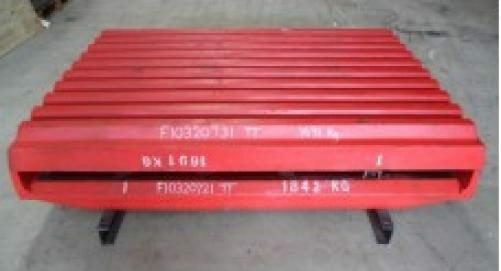 We also have an extensive range of side plates, toggle seats and pins and toggle plates to suit alot of the chinese Jaw crushers. 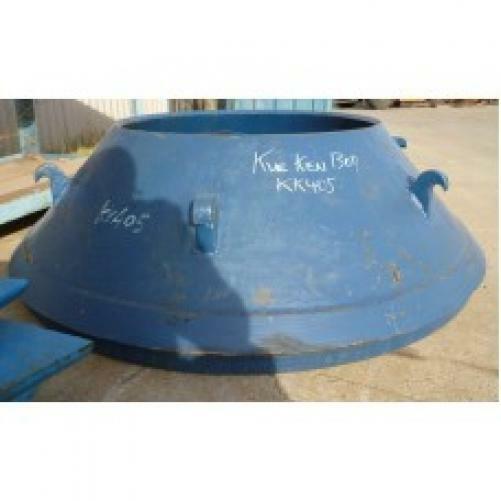 We stock a range of the Kawasaki manganese to suit the 800 & 1200 series Cone Crushers. Our Liners are a very high quality and are available in 18% & 22% manganese. Please call or email us with your requirment. ACMS can supply an extensive range of crusher wear and spare parts to suit the Kue-Ken / Brown Lennox range of jaw crushers. All of our jaw plates are stocked in 18% manganese/Cr & stock a wide range spare replacement parts for these machines, including pitmans, toggles front & rear, toggle seats, eccentric shafts and diaphragms. hammers, shanks and pins to suit both machines. We are proud to be able to say that our wear parts are proven to out perform many other suppliers parts, offering genuine life cost savings versus cheaper alternatives. 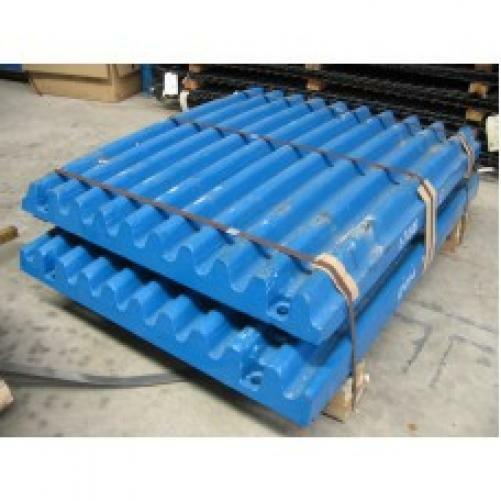 At Australian Crushing & Mining Supplies we carry extensive range of Manganese Steel Jaw Plates to suit a big range of crushers. Hartl jaw plates are one that we stock and these have been developed over many years with our foundry partner to develop the best possible crushing performance for your Hartl Crushers. 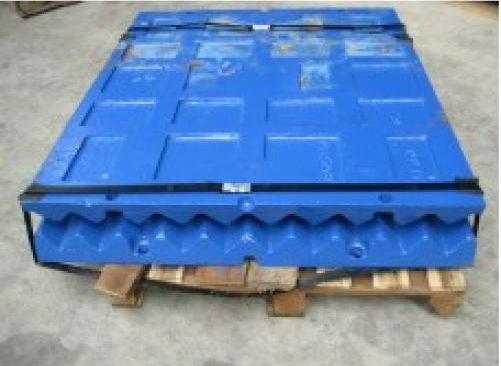 At Australian Crushing & Mining Supplies We currently have in stock Komatsu jaws and side plates to suit the Komatsu BR350 BR380 & BR500 (MK1 & MK2). ACMS can supply an extensive range of crusher wear and spare parts to suit the Kue-Ken / Brown Lennox range of Cone crushers. Please Don’t hesitate to call or contact us for all your Spare Parts Needs. 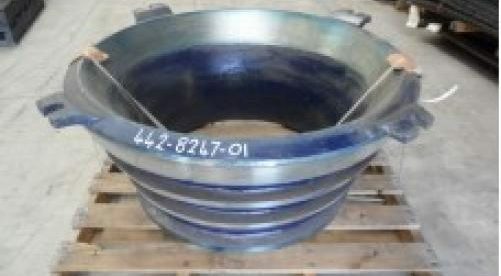 ACMS stock a range of aftermarket crusher wear and spare parts to suit the Metso/Nordberg LT & C range of jaw crushers including the mobile range of Lokotrack. 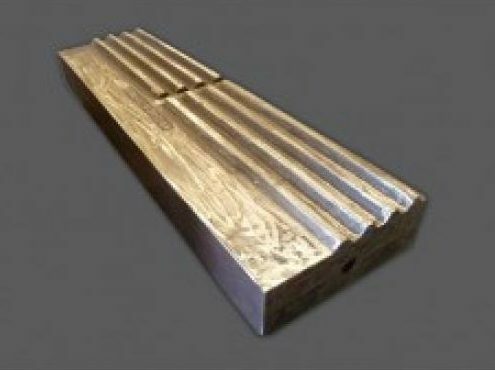 All our jaw plates are stocked in 18-20% grades of manganese, in the most popular profiles including standard, quarry, super tooth, recycling and corrugated. We also stock a wide range of replacement parts for these machines, including toggle seats, toggle plates, and a wide range of cheek plates, wedges, nuts, bolts and washers. Australian Crushing & Mining Supplies have a good supply of OM Marte Hammers in 275Cr, Our Premium grade material will assure you of great wear life every time. 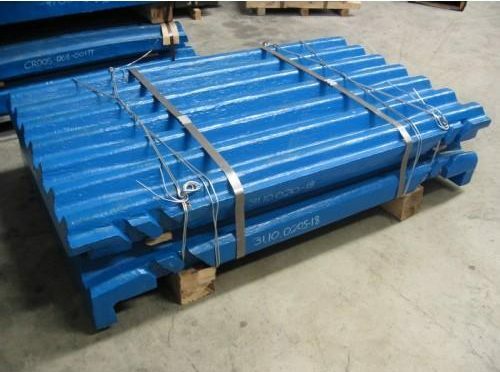 We also carry wear liners, bolts & impact plates to suite. Please give our team a call to secure you stock. & Ceramic. We now also stock the Monoblock (Apron) to suit the XH500 & the 1412. 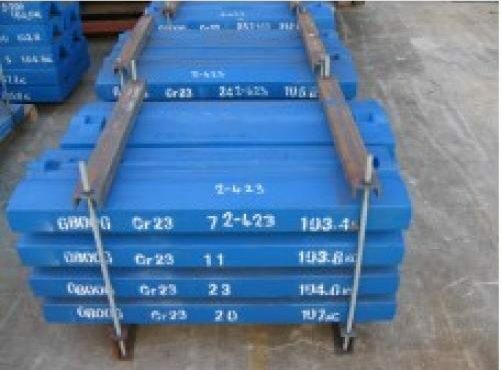 ACMS always have a good stock of jaws to suit the Pegson range of jaw crushers in 18% & 22% Manganese. 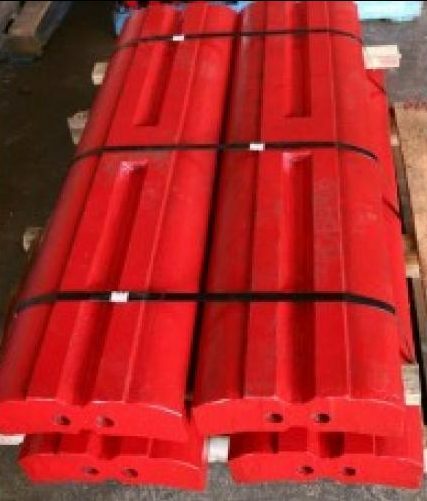 We stock the following Pegson Jaws and Wedges in STD profile and in Super Tooth profile and also stock a H/Duty range as well. tested to a precise set of specifications. 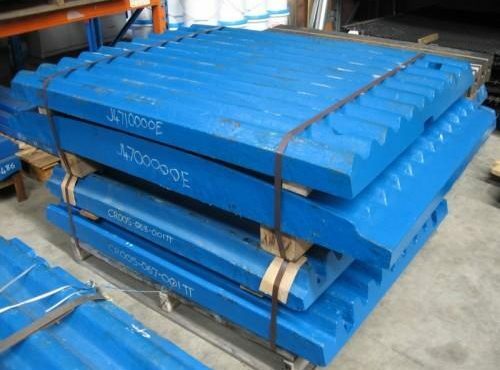 possible crushing performance for your Pegson Metrotrak 600 x 900 at the very best prices. Please call or email our team to place your next order. Our Hammers (Blow Bars) & Impact parts are manufactured in high chrome, 23%, 27%, & are also offered in manganese, martenstitc steel & Ceramic. the Rapid Mix, Aran Mixers and some other mixers on the market using copies of both these. We stock these in both Qld & NSW Warehouses. Please give us a call for all your batch plant and Rapid Mix spares. and spare parts to suit Sandvik™ range of cone crushers including the Hydrocone® and Superior® range. 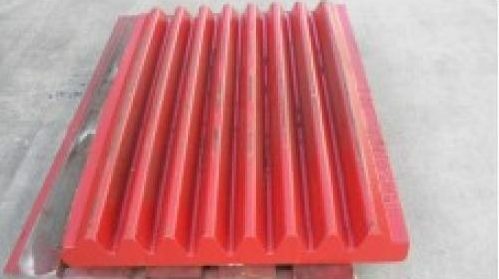 Australin Crushing & Mining Supplies are able to offer aftermarket Sandvik Blow Bars & liner plates, we also have developed a range of impact bars to suit the crusher’s aprons. All ACMS spare parts for the Sandvik crushers are specifically designed and manufactured to the highest standards to ensure they give you maximum wear life. 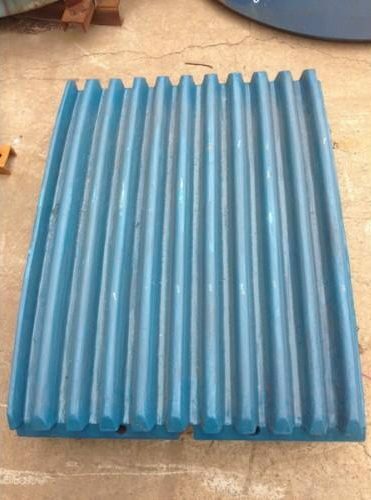 & We currently offer blow bars in both thicknesses of 100mm and 120mm. Our Symons range of aftermarket wear parts are one of our main market. 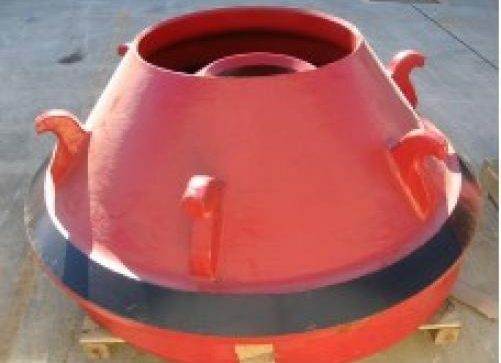 The ever popular Symons 3ft, 4 1/4ft , 5 1/2ft and 7ft cone crushers are all catered for at Australian Crushing and Mining Supplies. 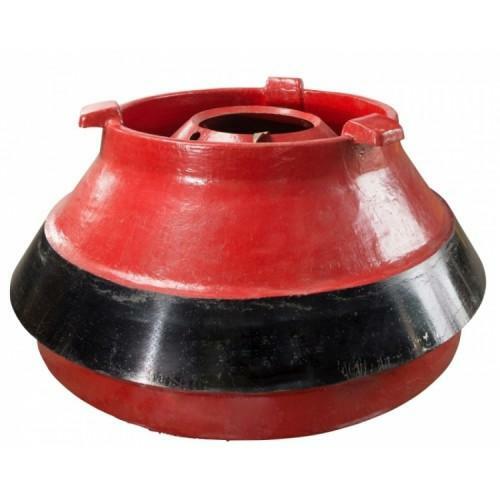 Whether it be Manganese bowl liners and mantles or internal parts such as socket sealing rings, lock nuts and covers, heads and shafts, socket liners, eccentric bushing and gears etc , we will be sure to have the parts you require in stock or on order for a quick delivery. 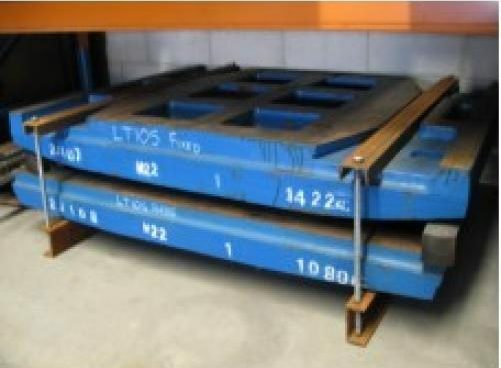 MC100 through to the higher volume Kleemann MC120, 125 jaw plates. Designed specifically and manufactured to exacting standards. 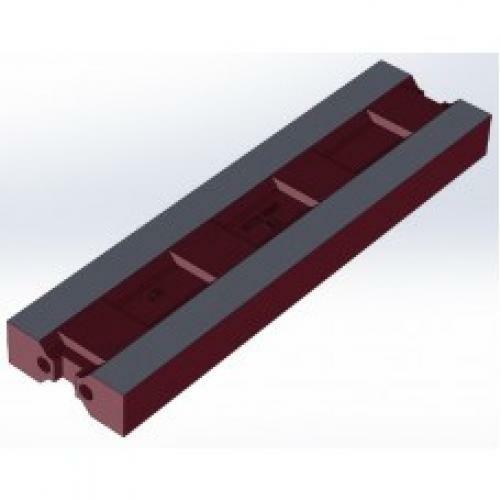 Our Kleemann jaw plates offer unrivalled performance with long wear life and we also offer Kleemann impact crusher wear parts with blow bars for the entire range from the popular Kleemann MR 110 Z EVO 2 impactor. Contact one of our team for a competitive price on all Klemmann wear parts across the entire crushing range.